Fruit and Vegies grown in Australia are GM free. (see more in the Now the Bad News section below). All crops (except canola and cotton) grown in Australia are GM-Free. We have wonderful delicious locally produced food and it’s worth celebrating. If you buy food labelled “Product of Australia” the “significant ingredients” will be sourced from Australia and (except for cotton and canola) should be GM-free. GM cotton is eaten as: cottonseed oil and cotton linters (may be in bulking agent 460), although the left over pesticide producing cotton trash has been fed to animals. Find out what your chips are cooked in. “Formula 40” is GM cottonseed oil – most other brands will be GM as well. GM canola oil is used in many processed food products including bread, dips, margarine, chips and bakery products like cakes and muffins. However customer pressure can stop the use of GM canola and other ingredients. It happened in Europe and it will happen here. Some supermarkets already avoid the use of GM in their home brand lines. There is a lot of imported GM food coming into our country, mostly from the Americas. It is in Australian made and imported products on our supermarket shelves, and unfortunately is being fed to our animals. Sugar - sugar from sugarbeets may be GM but sugar from sugar cane is non-GM. Brazil has just started growing a small amount of GM sugar cane, so buy Australian. Alfalfa - (also known as lucerne) this is a livestock feed. The US does not allow it to be used as alfalfa sprouts for food but Australia has since February 2014. We think it unlikely that any alfalfa sprouts sold in Australia are GM. As most of these ingredients end up as processed ingredients like oils, our laws say they do not need labelling. Even a bottle of canola oil made from 100% GM canola escapes labelling. In the EU it would be labelled as GM. avoid ingredients from these crops (which can creep into our food in many ways. Here is a list of potentially invisible GM ingredients. you and your family can avoid the main sources of GM food. Unfortunately some GM fruit, vegetables and grains are grown overseas. "Imported GM potatoes" were approved for sale in 2017. They are currently the only GM vegetable allowed to be sold in Australia. See also the "Overseas GM" and "Contamination" and "GMO 2.0") sections below for more details. They will not be sold as fresh potatoes. Make your own chips and please ask businesses you buy from (fast food outlets, restaurants, food processors) to commit to using only non-GM potatoes. Cheap imported potatoes are pushing local growers out of business. Buying directly from farmers and/or making sure you buy local will make a huge difference. If sold as oven-ready chips or packeted chips in supermarkets the GM potatoes would currently require labelling. If sold in as hot chips in restaurants and takeaway shops or in as an ingredient in processed food or alcohol , they would not require GM labelling. 26% of potatoes processed in Australia are imported. GM potatoes are claimed to reduce browning and produce lower levels of acrylamide when cooked. These potatoes have been modified using RNA interference technology (RNAi/gene silencing). Just hatched bees (larvae) fed one meal of RNAi had the expression of 10% of their genes altered. The genes affected were involed in important metabolic and developmental processes, hormone metabolism, immunity, response to external stimuli and stress. There is scientific concern about the dangers of this technology. MADGE's submission to FSANZ asking them to reject the GM potato application on numerous grounds is here. The GM potatoes were developed by a subsidary of JR Simplot. Simplot is a US company that, since 1995, has bought Birds Eye, Leggo's, Chiko, Edgell, John West, Lean Cuisine and Top Cut in Australia. Be careful of the oils you use. Vegetable oil can contain cottonseed oil (GM). Soy, corn and canola oil may be derived from GM crops and will not need to be labelled as GM. Oils such as olive, coconut, sunflower, flaxseed, peanut, sesame, macadamia, avocado, hempseed or rice bran oil are not GM and can be used instead. A handful of soy flour or soy lecithin is thrown into almost every processed item on the supermarket shelves, so this cuts out a lot of your consumer choice. Many producers have declared themselves GM-free. Download the 2017 GM-Free Shopping list here. The True Food Guide is a similar list but has not been recently updated. 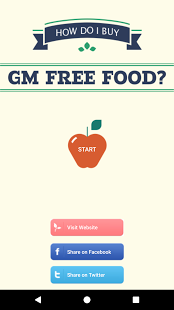 Telling companies you are buying their food because it is GM-Free encourages them to maintain and increase their GM-Free product lines. Your choices are important. Ring the information numbers on food packaging. You have to ask the question “Were any of the ingredients derived from a genetically modified crop?” and persist until you get a direct answer. If they say "We only use ingredients allowed by our regulators" it means it may be GM. Our labelling laws mean most GM ingredients escape labelling and therefore we cannot know what we are eating. The four main GM crops are also used as animal feed. There is no way to recognise animal products fed on GM – milk, meat, eggs, fish, honey - labelling at all ends is grossly inadequate - ask your butcher or local producer what the animals were fed. Until things improve, buying grass-fed meat and organic dairy and poultry is the only way to be sure. More farmers are showing that they know the customer cares about how animals are raised. We suggest that you talk to them so that you are comfortable with what you are buying. Some are in the 2017 GM-Free Shopping list. Overseas GM - Fruit and vegetables grown elsewhere but not yet authorised for sale in Australia. FZANZ has not yet approved any of these GM foods and so they should not be on sale in Australia. However in the absence of GM testing, monitoring and certifying of imported produce Australian consumers cannot be certain that these products are not being imported in some form. Europe tests imported food and has repeatedly detected unauthroised GM ingredients, see "Contamination" below. USA - apples, milk, papaya, potatoes, pineapple, sweet corn, yellow crookneck squash and zucchini. Small ammounts of zucchini, yellow crookneck squash and sweet corn may be GM. GM papaya is grown in Hawaii in 2015 it was 77% of the Hawaiian crop. GM pineapple which is extra sweet with pink flesh will be grown in Costa Rica and sold in the US. Notably the FDA states that is has not approved the GM pineapple but undergone a voluntary consultation with the company that developed it, Del Monte Fresh Produce. Semantics disguised as science. In 2015 the US Food and Drug Administration approved GM arctic apples (Granny Smith and Golden Delicious varieties) and GM Innate potatoes (Ranger Russet, Russet Burbank and Atlantic varieties). The one of potatoes has been approved in Australia and another GM potato application is currently under assessment. GM Arctic apples have not been approved by FSANZ but in the absence of testing and monitoring it is possible they could be imported, perhaps in the form of processed food. Milk - Cows are injected with the GM bovine growth hormone Posilac. It causes them to have increased udder infections so there is more pus in the milk. It creates higher levels of the IGF-1 hormone which is linked to breast cancer and prostate cancer in humans. US journalists were sacked when they investigated this story for TV. Watch their story here. Australian regulators, APVMA, are currently considering an application to inject Australian cows with this GM hormone. GMO sugarcane was commercially approved in mid 2017. It is now being grown on 400 hectares. GM salmon has been approved for production and consumption in Canada and for consumption in the US. The company, AquaBounty, has applied for the construction of the world's first GM fish factory on Prince Edward Island. China - corn, capsicum, seed garlic, papaya, spinach, tomato, rice, wheat and unnamed vegetables. China has commercialised GM tomato, papaya, capsicum and GM seed garlic is reported to be on-sale. There are also reports of unauthorised GM rice, wheat, corn, spinach and other vegetables. Information on what is GM and where it is grown is unclear and laws over cultivation and labelling appear to be uninforced. GM papaya appears to be growing illegally in Thailand. It is also possible that other countries are unwittingly growing GM papaya. MADGE received an unconfirmed report of papaya from Thailand being sold at a farmers' market. Please be vigilant when purchasing papaya. Organic, Australian grown papaya would be the best papaya to buy. Alcohol - there used to be a True Food Alcohol Guide. It is no longer on the net but it contained the following information. MADGE has no idea whether this information is still correct. We are leaving it here as an indication of the questions that could be useful to ask companies about their ingredients. Sprits, liqueurs and pre-mixed drinks – may have a base of GM maize/corn or soy may be the base used for distilling. Ones who may be using GM include: Absolut, Cascade, Cooper’s, Crown, Foster’s, VB and Strongbow. Note the mention above that this information came from a guide no longer available and so may not be correct. This includes gene editing, CRISPR/Cas9, fake meat and Synthetic Biology (Synbio), gene drives and more that you may have been hearing about in the media. We are still investigating where these may be introduced into our food and if they are here already. Here is an excellent article on the subject. These GM2.0 technaiques are presented as far more accurate than the existing GM breeding. There is pressure to not regard these techniques as GM and so avoid regulation even though the US intelligence community assessed them as a potential "weapon of mass destruction and proliferation". They carry all the same risks as existing GM as well as additonal risks in that organisms may be repeatedly altered and so a bacteria maybe transformed so it can produce the anthrax toxin, for example. A full report on the techniques that include CRISPR/Cas9, gene editing and more can be accessed here. Synthetic biology is where life is seen as a factory designed to produce the intended product. GM yeast or bacteria are grown in vats, it is deceptively called "fermentation", and produces synthetic versions of vanilla, stevia and patchouli fragrance and more. These may end up in food and personal care products. A US shoppers guide can be downloaded here. The Impossible Burger claims to taste like beef but be made of plants as well as plant produced 'heme'. This 'heme' is produced in vats by GM yeast and is synbio. It is on sale in the US and appears to have undergone no safety testing. If you want non-meat, non-GMO 2.0 burgers you could eat Syndian Natural Food Products foods which are on the 2017 Shop GM-Free Shopping List. Meat grown in petri dishes appears to be extremely expensive, a pound of beef made in 2013 would have had to sell for USD $1.2 million. Memphis Meat is working on chicken that would have to retail at USD $6000 per pound. It would be better to reduce your consumption of animal products and buy from farmers who grow pastured meats and eggs if possible. It is wonderful that many people understand that their diet affects the climate and they can make powerful positive changes by being mindful of what they eat. Research shows that what we need is to reorient our food system so it supports farmers to grow nutrient dense food by working with their local ecology. This non-monoculture, non-GMO, non-pesticide based farming can double food production in the places that need it most in 10 years while cooling the climate and reducing rural poverty. Here are 33 case studies of agroecological success in Africa. GM research and field trials have created contamination of ordinary crops even though the GM crop has never been commercially released. There is a GM Contamination Register showing recorded incidents. Europe has a Rapid Alert System for Food and Feed. It has a searchable database known as the RASFF Portal. You need to enter a date "Notified between" "and". Then under "Hazard" select "GMO/novel food" and then "Get Results". It will show you what unauthorised GM food, feed and novel foods have been detected. Where they came from and what country they were found in. Australia has no comprable system of detection. Bt 10 corn – Syngenta, a GM seed and chemical company, supplied Bt10 GM corn seed to US farmers for four years. This GM seed had not been approved. Syngenta said they thought they were supplying the approved Bt11 variety. GM flax "Triffid" was developed and approved but never commercially grown in Canada. It was made illegal to sell in 2001. In 2009 it was found to have contaminated exports to Europe. This resulted in lost markets in Europe and famer losses. Bt 63 rice – Chinese exports were contaminated by Bt63 GM rice. There are concerns that this rice may be allergenic. The EU and New Zealand instigated strict testing to ensure this rice was not imported. The Australian regulator (FSANZ) has taken no action to avoid the import of this unapproved rice. The EU is toughening checks on rice from China due to repeated GM contamination. Searches of the RASFF Portal shows that rice and rice products from countries such as India, Pakistan and Hong Kong have been detected as containing GM contamination. This highlights the need for Australia to instigate testing. GM contamination of wheat has been found in Oregon. This led to the cancellation of wheat imports by Japan. See above for comments on possible contmination of papaya, seed garlic, tomatoes, capsicum, spinach and potentially other unnamed vegetables. If in doubt, buy Australian grown vegetables and fruit. We know you don't eat petunia flowers but GM petunias were recently discovered in Australia. It shows that GM plants creates living organisms that can and will spread by accident and cross breeding. We have tried to provide the best information possible but applications and approvals are continually occuring. In Australia Food Standards Australia New Zealand is responsible for recommending the approval of GM foods. You can check the current GM applications and approvals here. The Office of the Gene Technology Regulator approves the testing, growing, transport and import of GM crops. Details on GM crop trials are here. You can sign up to receive updates on these sites.